Before getting started, ponder the following and be really honest with yourself. How can you tailor your website to reach that audience? What content and services will it contain? What content will drive people back to your site? What are your sources for content? How often should the website be updated? Who is responsible for updating the website? What are other websites with similar goals or with a similar audience? BUY YOUR DOMAIN NAME as soon as you see it is available. Believe it or not, there are unscrupulous hacker-types that are monitoring URL searches and buying names that are searched so they can sell it to you or the highest bidder. So, if you search for a domain name and find it is available, go ahead and buy it if you’re fairly certain you’ll use it. OWN YOUR DOMAIN NAME! I know it’s so much easier to just let the “web people” buy your domain name and set everything up for you. If you go that route, make sure it is purchased in your name — ask to be copied on the email registration; ask that your name and contact info is used as an “administrator” of the site. Check your site on Network Solutions’ “Who Is” page to confirm you are the owner. And finally, if you don’t currently own your domain, get to work on transferring the ownership to yourself now. Yes, this can be a pain as it’s a “legal” process with a few steps BUT the longer you wait, the more leverage the current owner has over you. HAVE YOUR SITE BACKED-UP and keep a copy in your office. Most hosting companies do a very good job backing up sites on a routine basis and rarely lose sites BUT sometimes things happen… In the event that your site is destroyed/disappears, it’s really nice to know you have a copy on file that you can re-load. Even if you make updates to your site frequently, its better to have an “old” version of your site than none at all. HIRE SOLID, ROOTED-IN-THE-COMMUNITY PEOPLE I’ve worked with a very small stable of mature, family-centered developers for years. These guys each have special areas of expertise, from mobile app development to database programming. They’re smart, honest and dependable. We work together closely — I drive the creative aspect and they write the strings of code to make it happen. 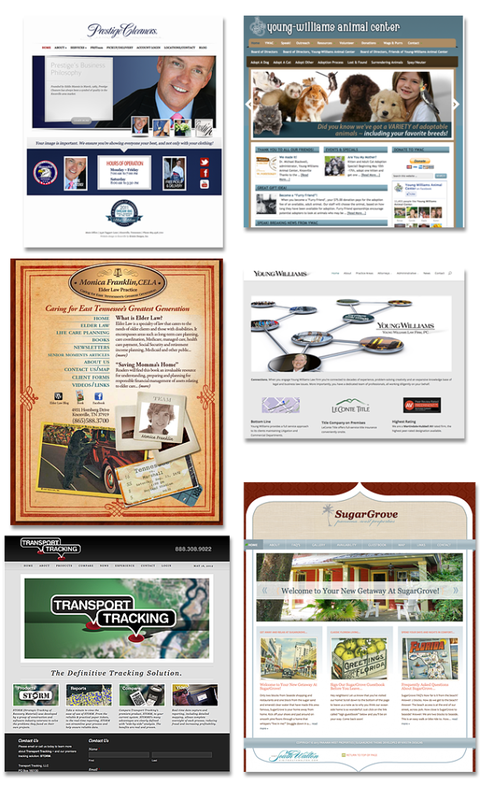 It’s the best of both worlds for my clients: creatively inspired sites — that WORK really well. CHECK OUT YOUR COMPETITION You’ve been enjoying your site for years. Customers here and there have even given you compliments on your site — everything is good! Maybe. Maybe not. Visit your competitors’ sites. Internet content is evolving quickly and what was au courant a year or two ago may now look and operate in a dated fashion. Plus, it’s just good practice to see what your peers are up to. I’m not suggesting you copy their sites, in fact, analyzing their sites may alert you to a gap in service or need that your company provides and should leverage through promotion. Your website presence is akin to a storefront. You don’t want dirty windows and dusty stock out front. You want exciting, pique-your-interest, new stuff! Visually place your storefront alongside all of your competitors’ storefronts on Website Lane. Does your storefront compel customers to walk past all the others, open your door and visit? And then, does it call for action?! Contact you. Buy something. Find out more. If not, you need to think about it. So now I’d like to offer some general thoughts on web development. Sometimes sites need to be SO very different and intensely graphical, that they need to be hand-coded. For example, monicafranklin.com. I met with Monica and her amazing staff to discuss plans for their site. They had given a lot of thought to the matter. 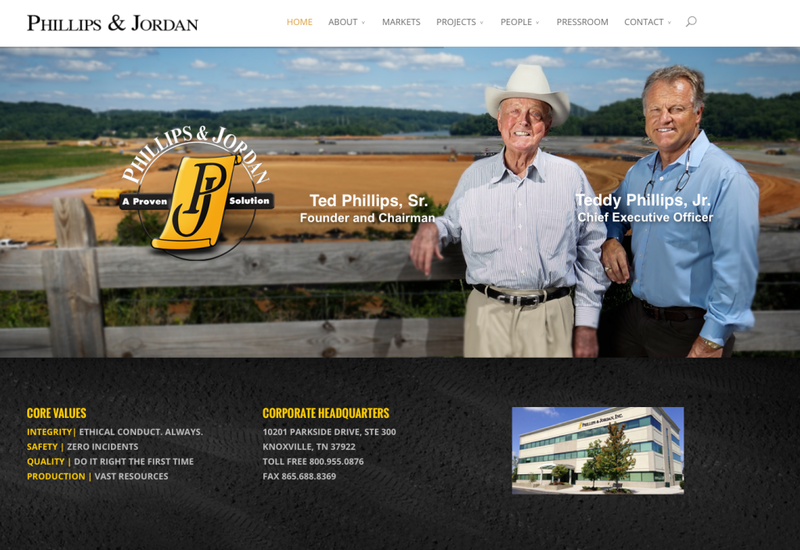 They provide legal services to the elderly and wanted a site that reflected their client base as well as their hands-on, very personal service. It had to be really distinctive. We hand-coded their site with very nice results. Another option that I am increasingly using is WordPress. WordPress is an open-source platform for web development. That’s as geeky as I’ll go with it — the thing you need to know is that it’s stable, user-friendly, and helps cut your development costs dramatically. Plus, it’s easy for you, or someone in your office, to learn the “dashboard” and administrative features in WordPress and update your site in-house. Many of my most recently designed sites, including this one, were done in WordPress. OK, a word about Flash. Flash, is the very cool animation platform that lots of sites were built on in the early 2000’s. It’s amazing for games, movies, animations but TERRIBLE for websites. Do NOT build a Flash-based site. Here’s a great summary of the reasons: 12 Great Reasons Not to Have a Flash Site. In summary, each website project is unique. Up-front planning is vital. Think about the features you want ideally and balance this with your budget.